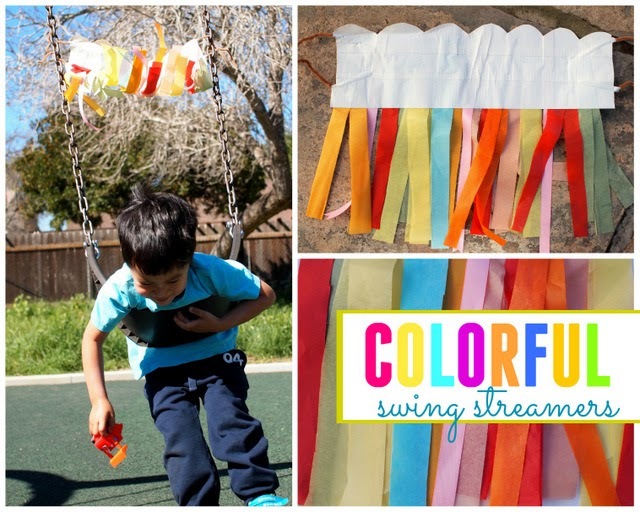 Here's how I made these colorful swing streamers! 1. I cut out 3 equally sized pieces of duct tape using an exacto knife and a cutting mat. 2. Then, I created a sheet of duct tape by sticking them together, making sure to keep the sticky side facing up. 3. Then, I stuck two pipe cleaners to both sides of my duct tape sheet. 4. 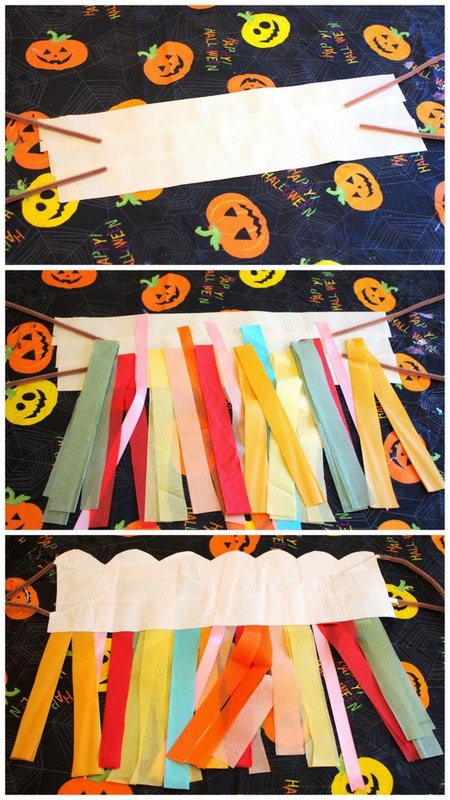 Then, I cut similarly sized strips of tissue paper and ribbon and stuck them onto the duct tape. Then, I tied on my colorful streamer "rainbow" onto the swing! Tada! Now Chuck was able to swing under his very own rainbow. How magical!